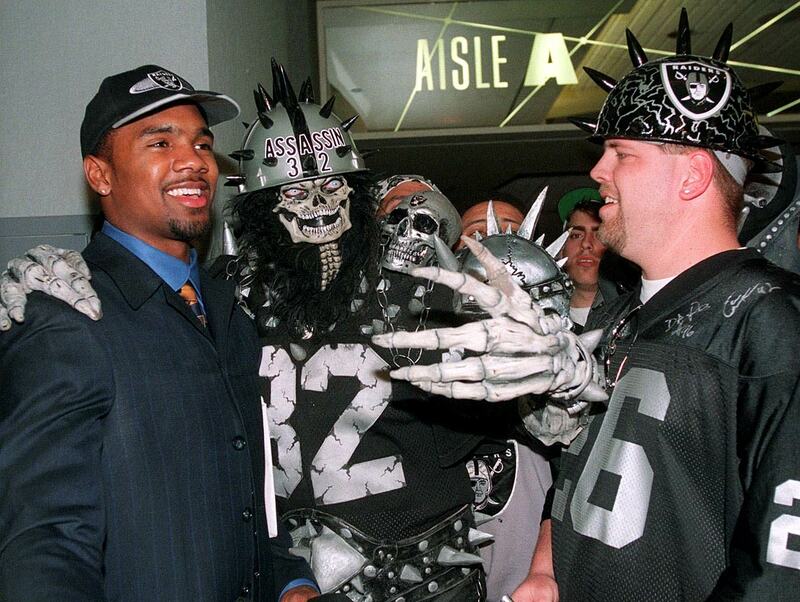 Oakland Raiders fans with Charles Woodson in 1998. 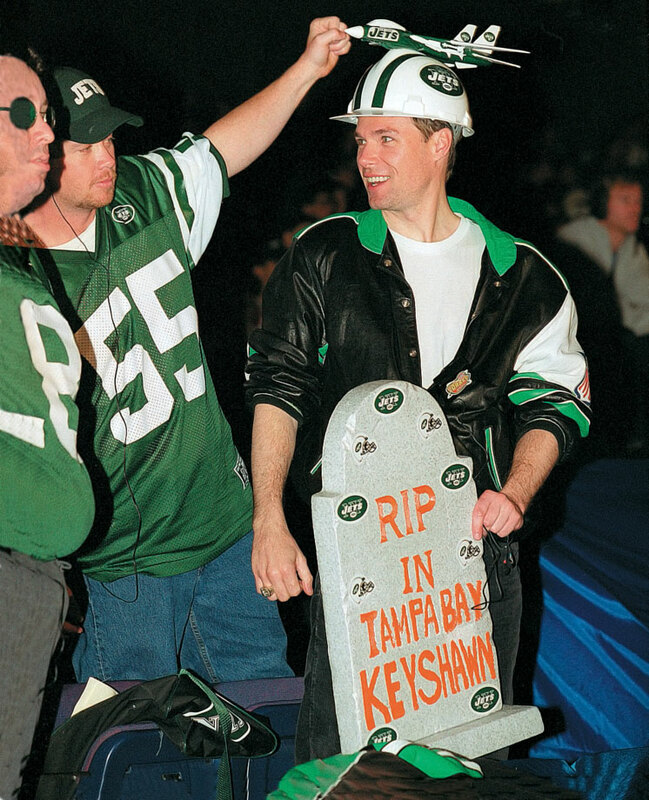 New York Jets fans in 2000. 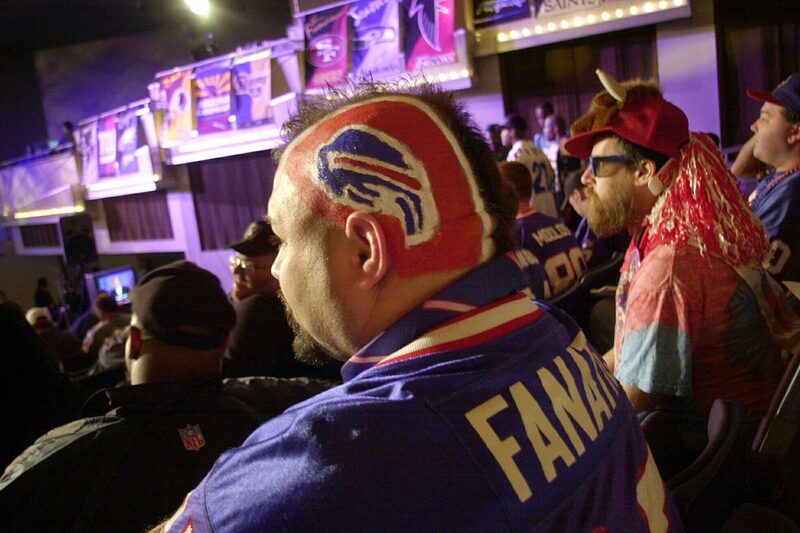 Buffalo Bills fan in 2002. 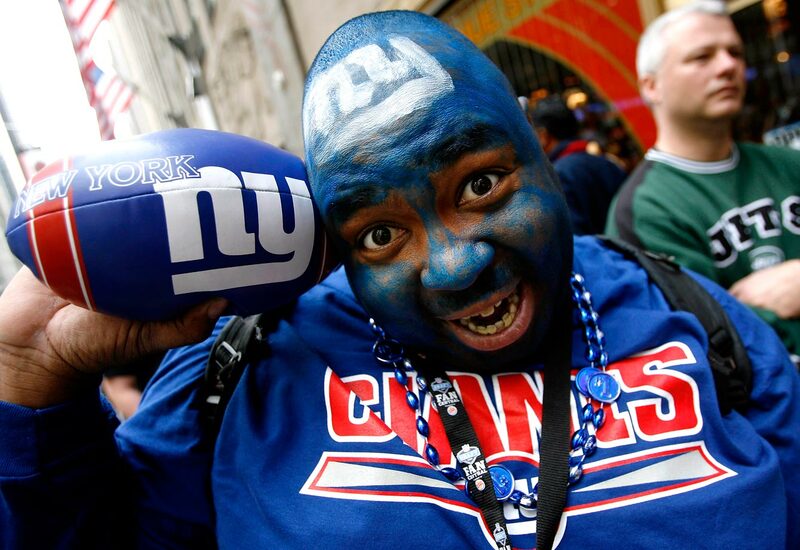 New York Giants fan in 2004. 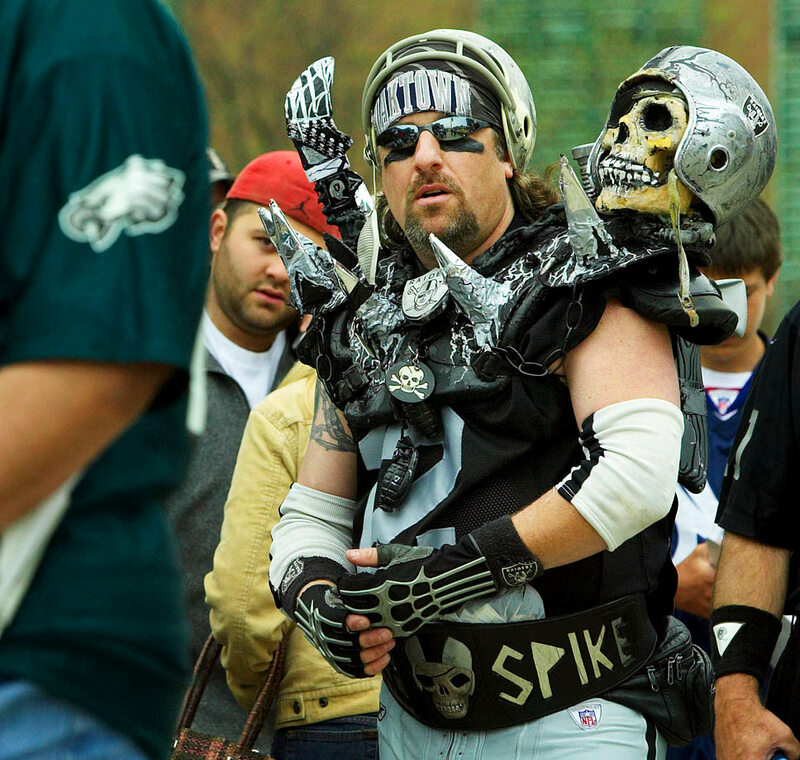 Oakland Raiders fan in 2005. 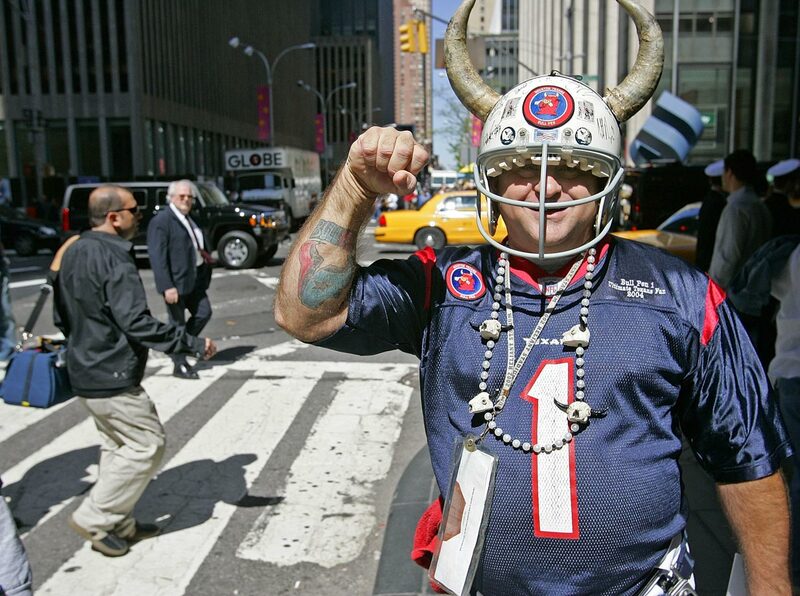 Houston Texans fan in 2006. 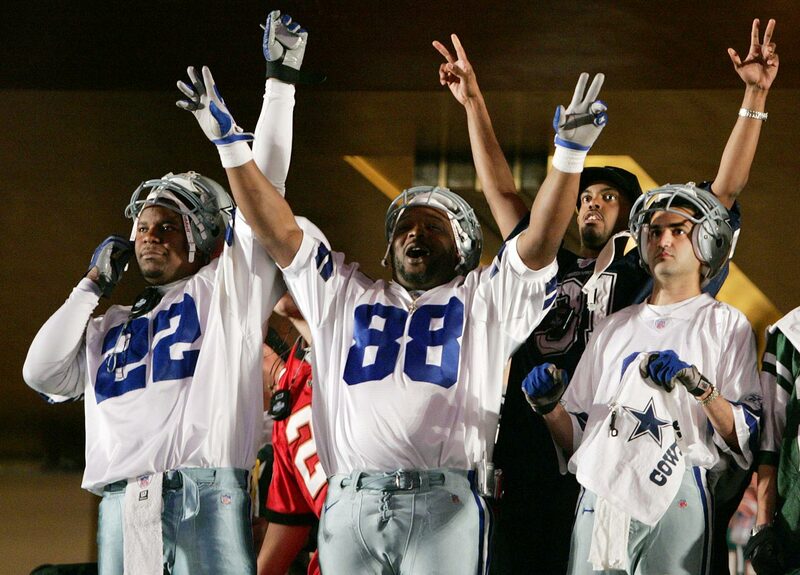 Dallas Cowboys fans in 2006. 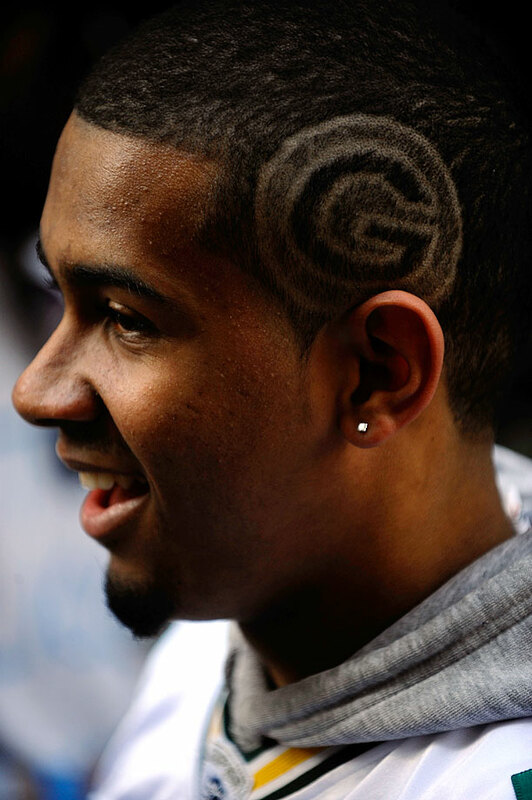 New York Giants fan in 2007. 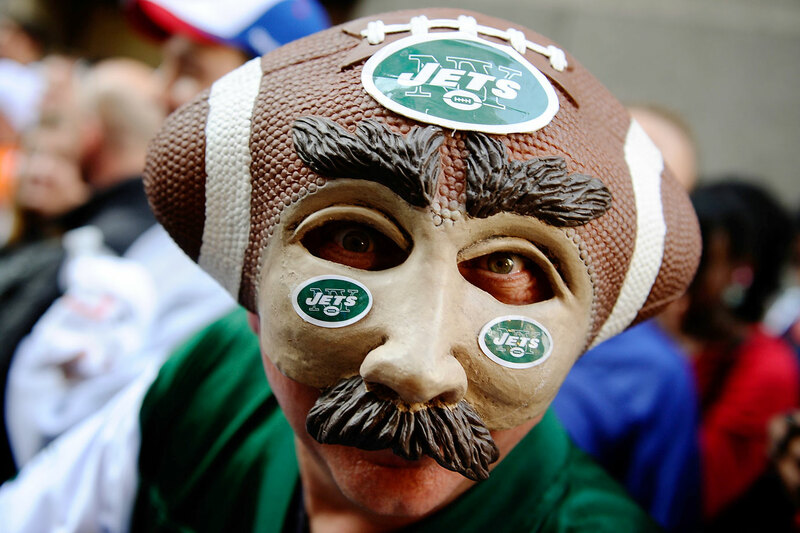 New York Jets fan in 2009. 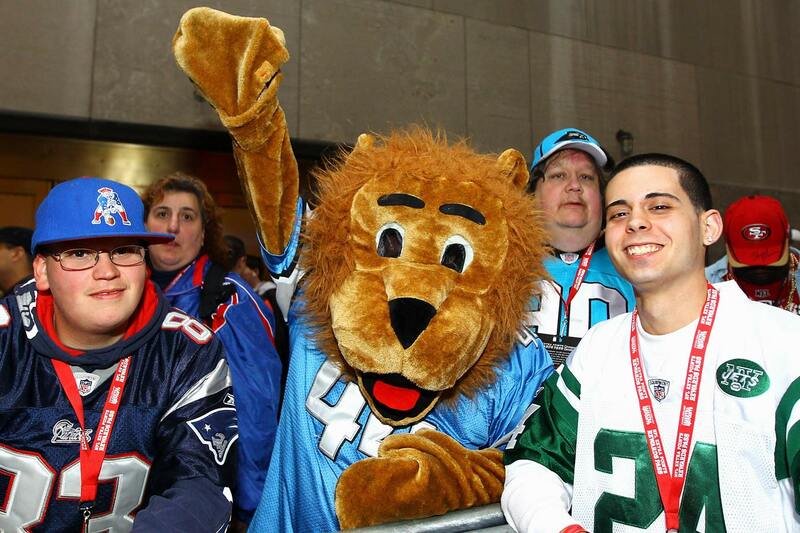 Detroit Lions fan in 2009. 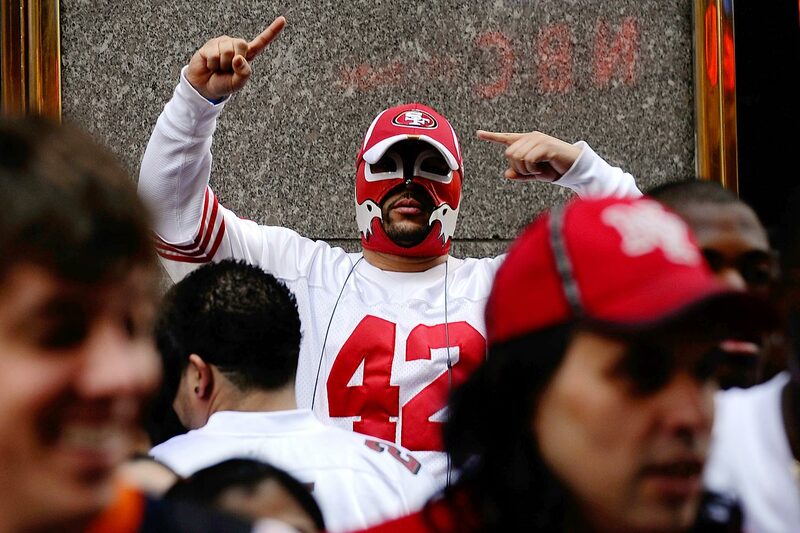 San Francisco 49ers fan in 2009. 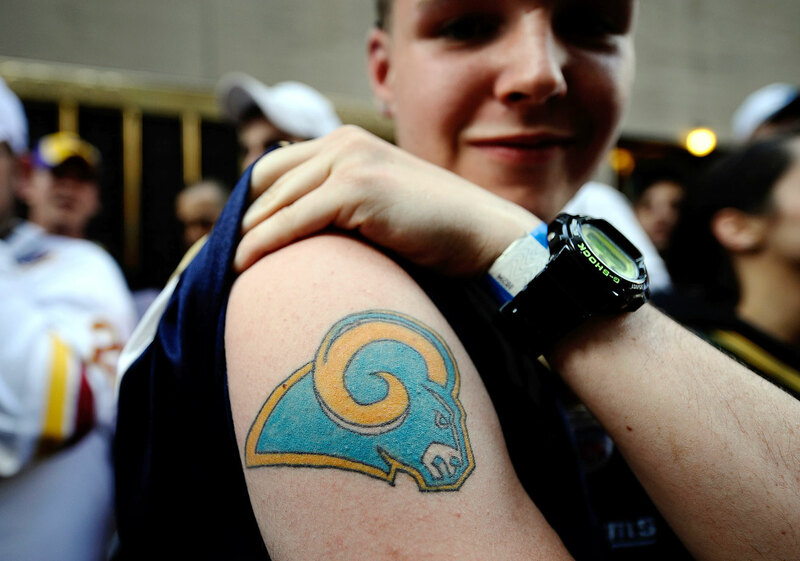 St. Louis Rams fan in 2009. Green Bay Packers fan in 2010. 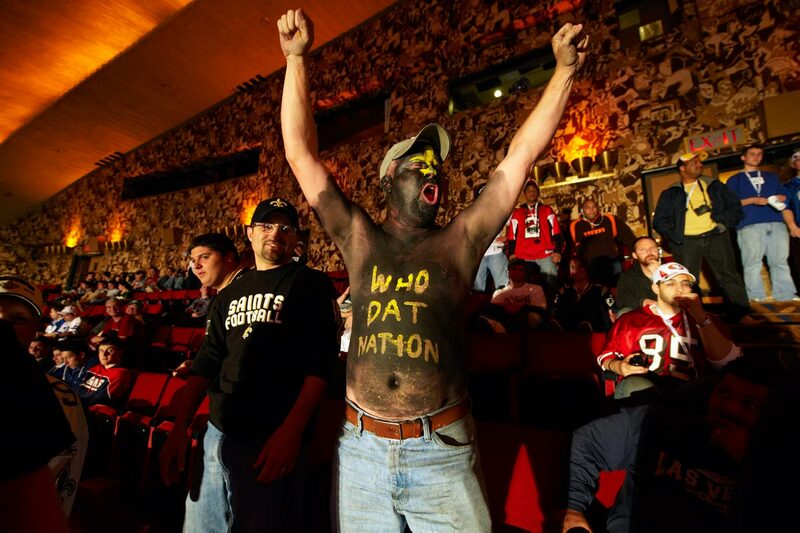 New Orleans Saints fan in 2010. 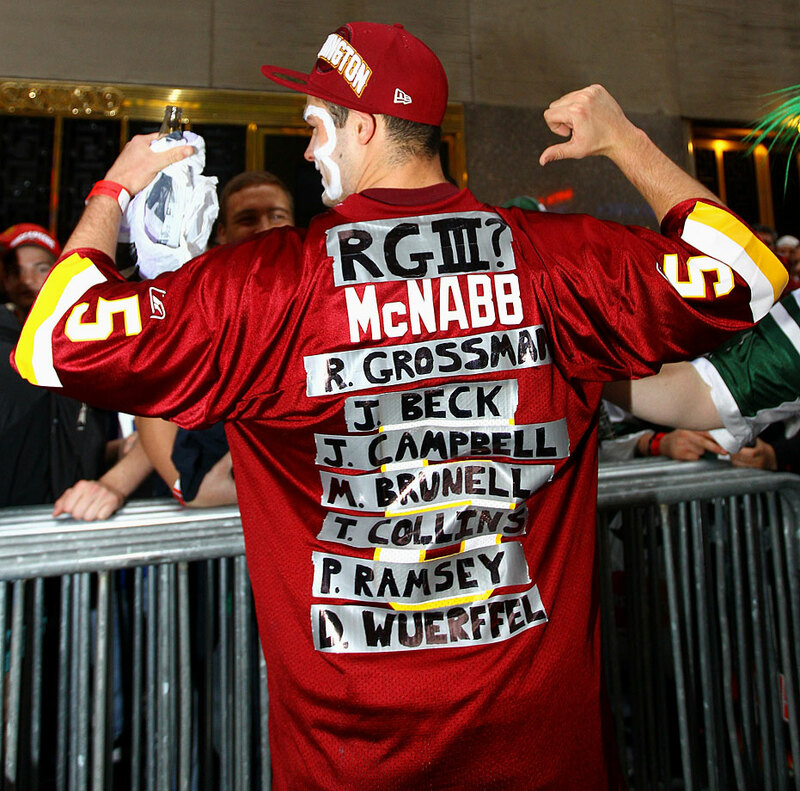 Washington Redskins fans in 2010. 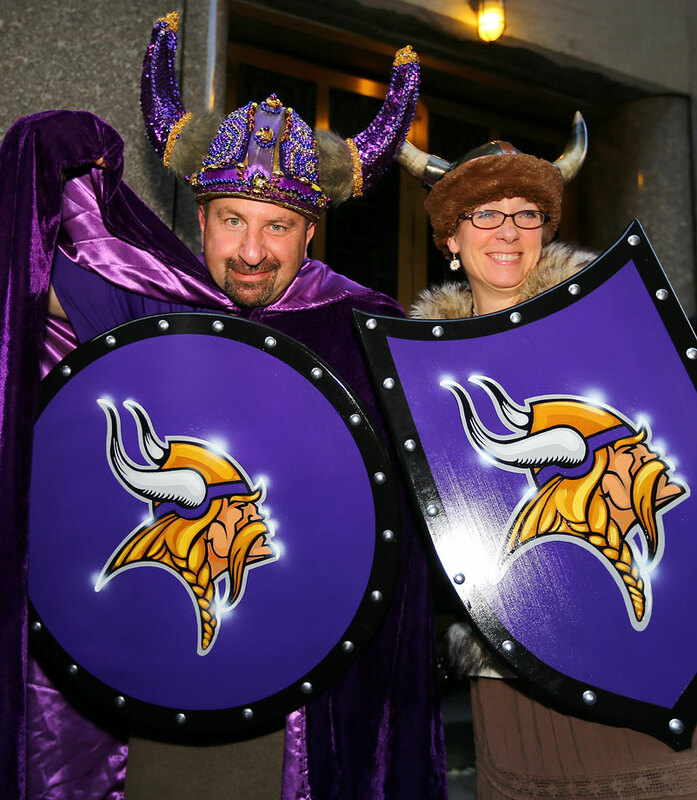 Minnesota Vikings fans in 2010. 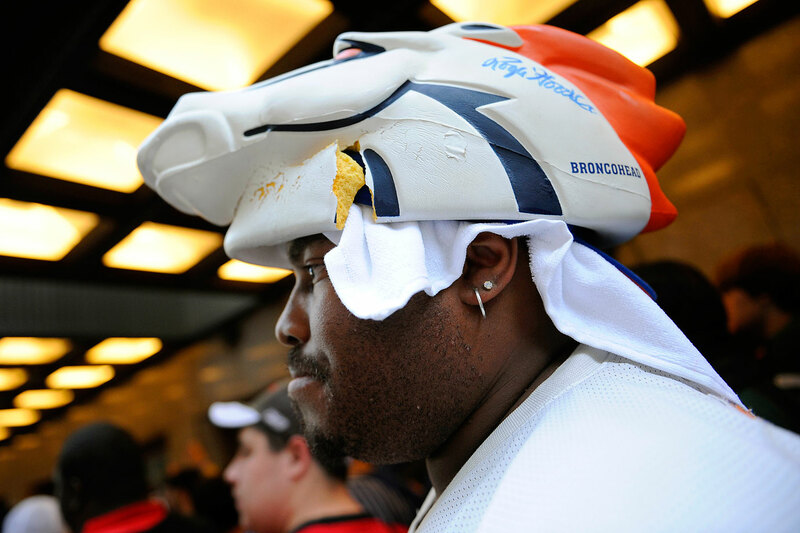 Denver Broncos fan in 2010. 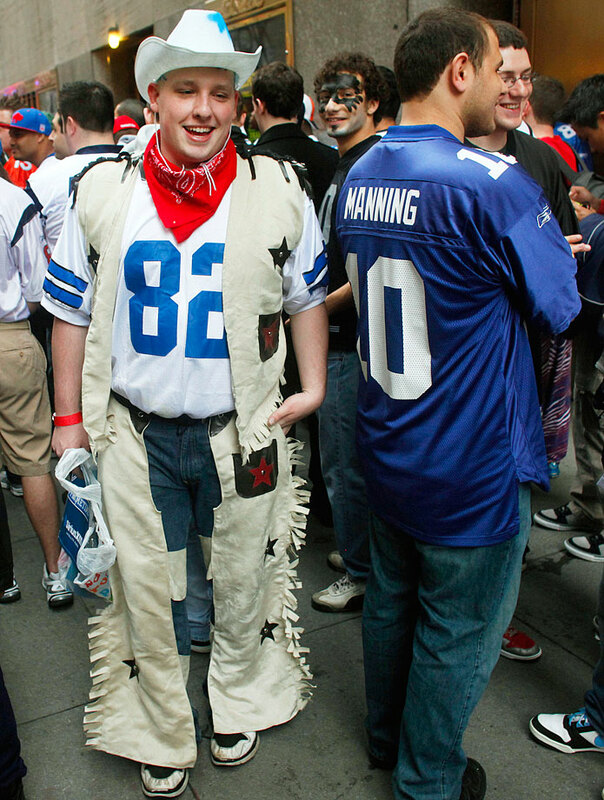 Dallas Cowboys fan in 2011. 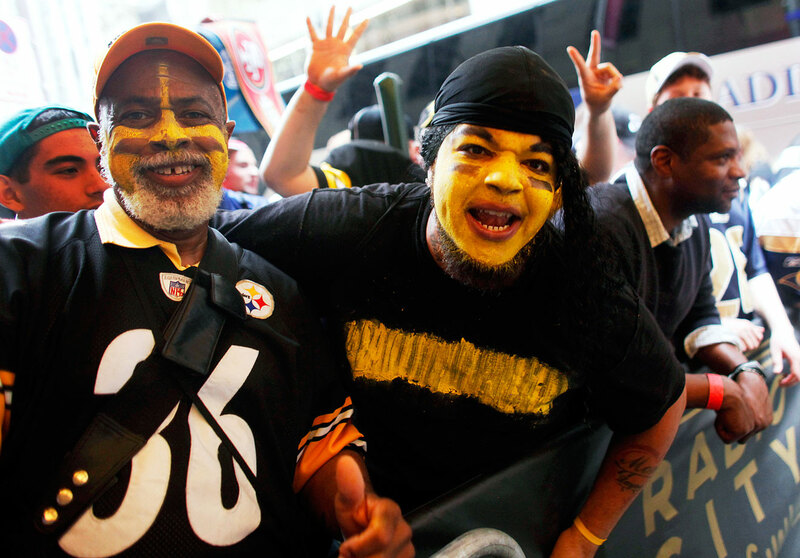 Pittsburgh Steelers fans in 2011. 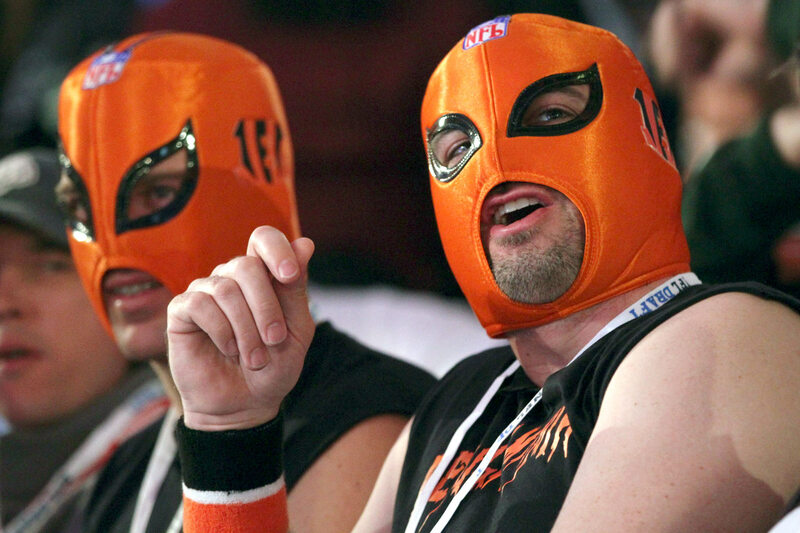 Cincinnati Bengals fans in 2012. 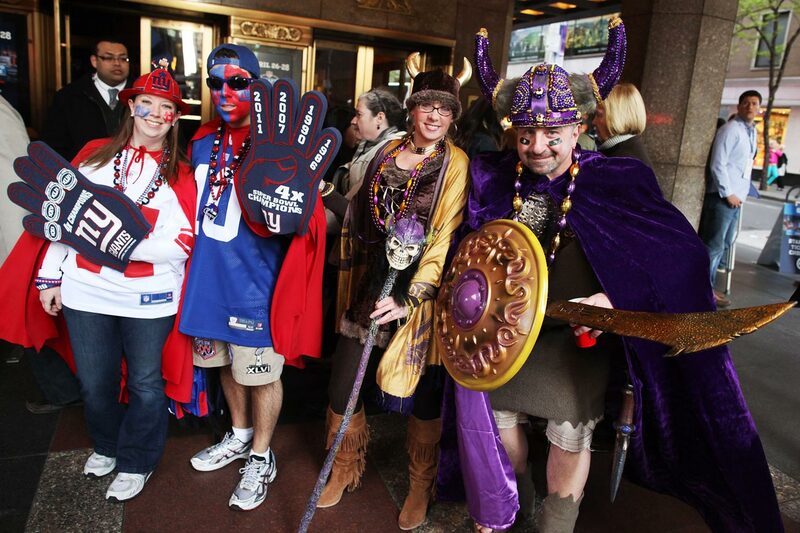 New York Giants and Minnesota Vikings fans in 2012. 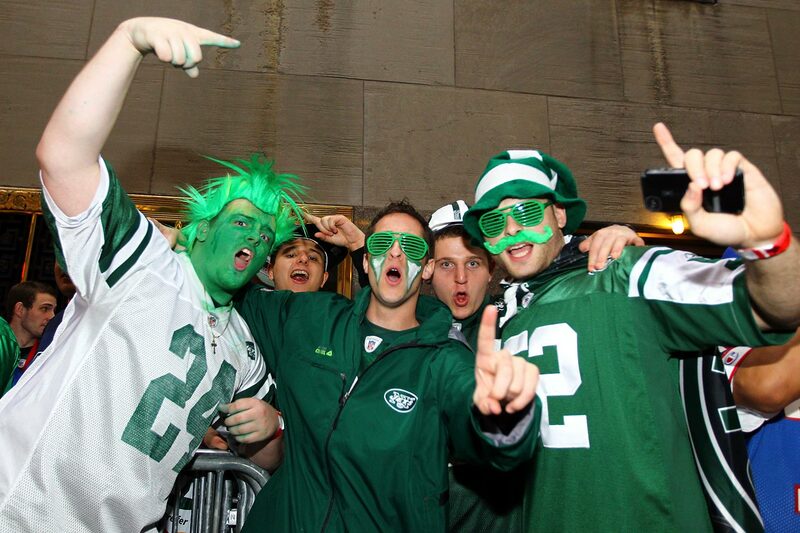 New York Jets fans in 2012. 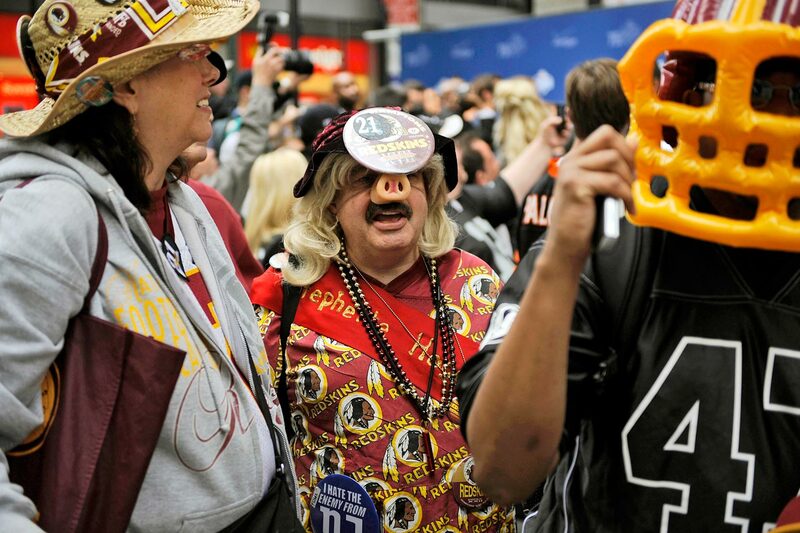 Washington Redskins fan in 2012. 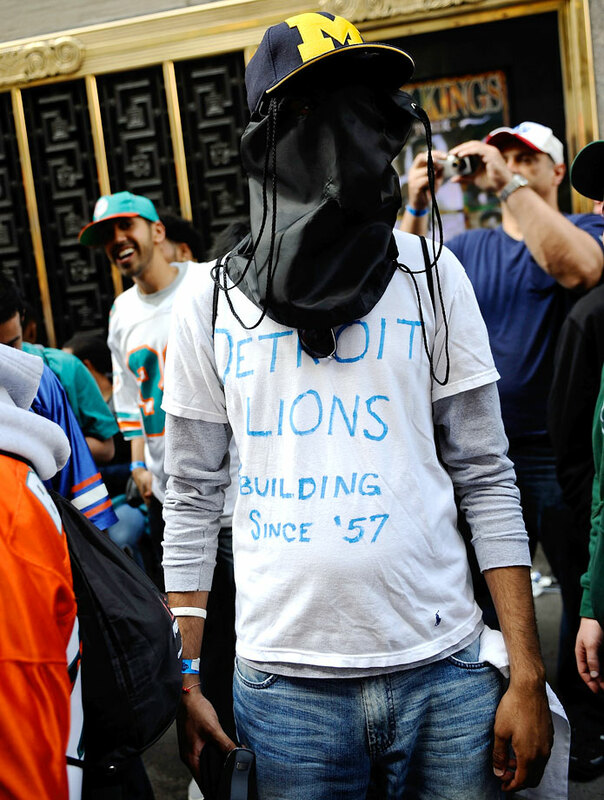 Detroit Lions fan in 2012. 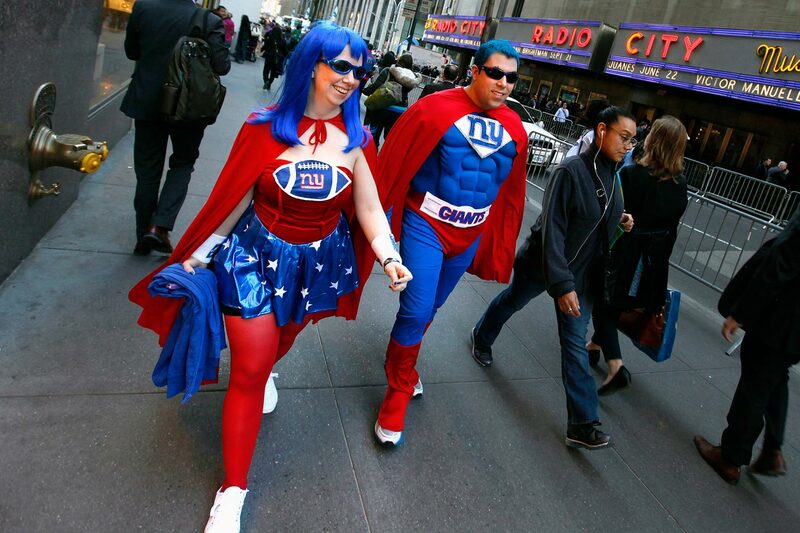 New York Giants fans in 2013. 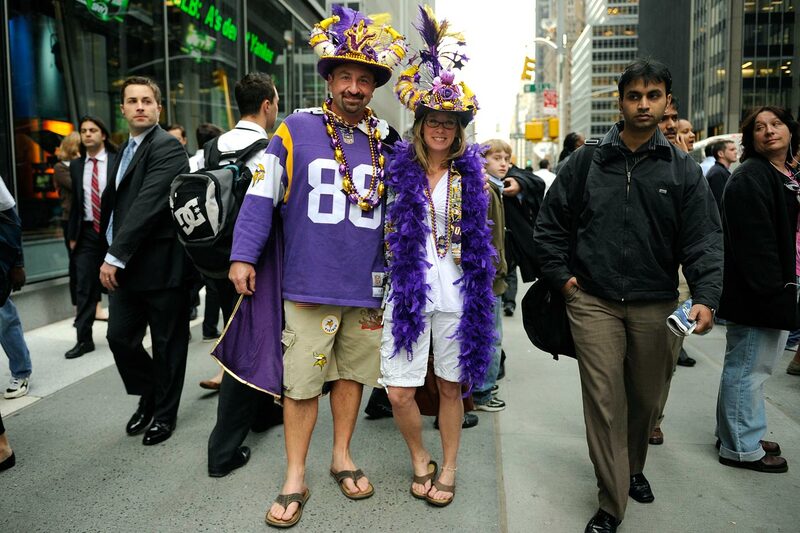 Minnesota Vikings fans in 2013. 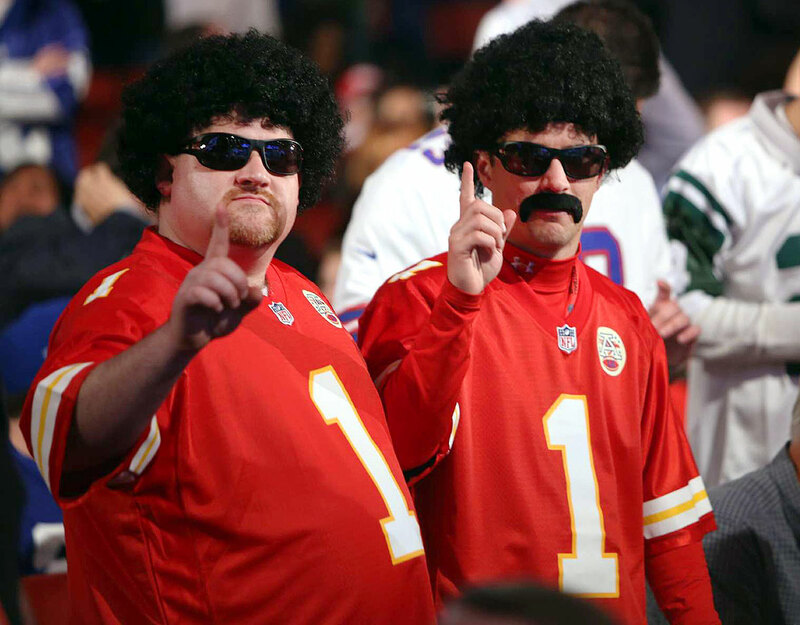 Kansas City Chiefs fans in 2013. 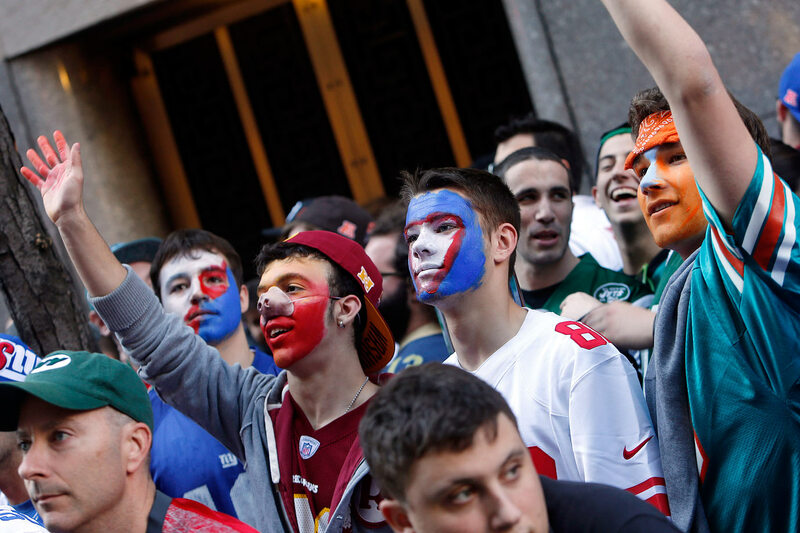 Washington Redskins, New York Giants and Miami Dolphins fans in 2013. 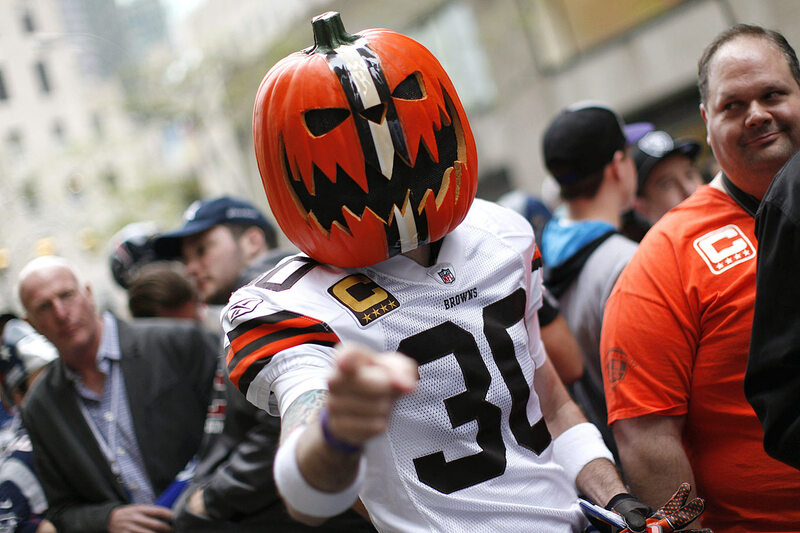 Cleveland Browns fan in 2014. 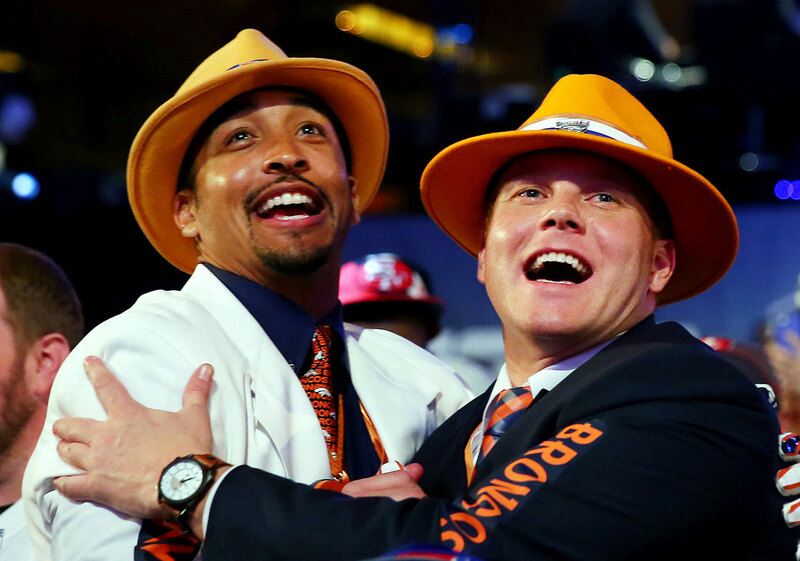 Denver Broncos fans in 2014. 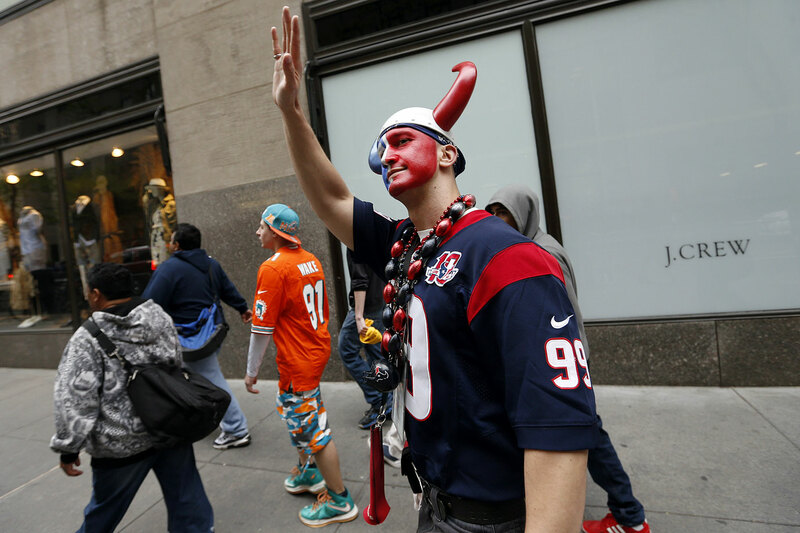 Houston Texans fans in 2014. 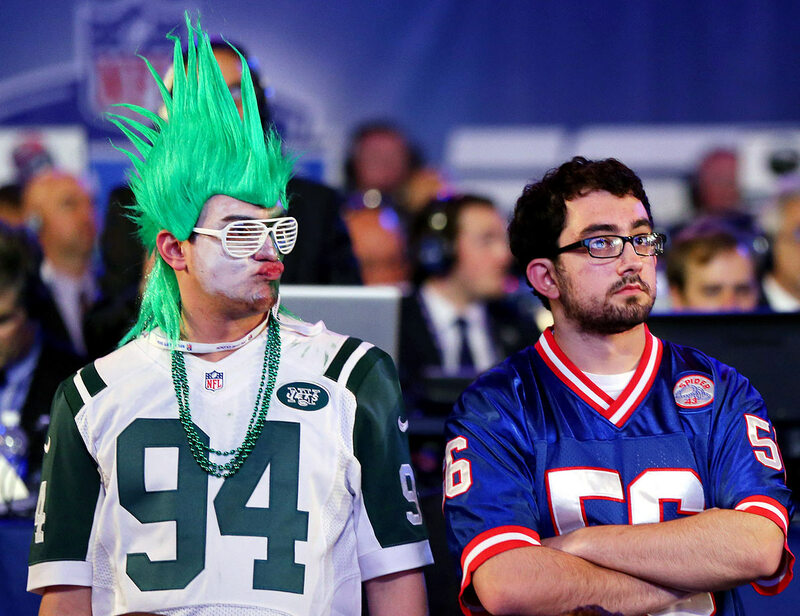 New York Jets and Giants fans in 2014. Tampa Bay Buccaneers fans in 2015. Green Bay Packers fan in 2015. Pittsburgh Steelers fan in 2015.